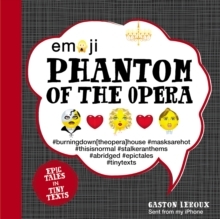 Emoji Phantom of the Opera finally answers the age-old question, how would this story play out with emojis, shorthand, and texts? This incredibly original take on a classic story will have you LOLing. What would happen if the characters of Phantom of the Operacould text each other? 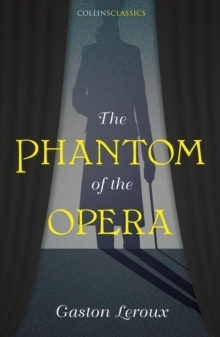 How would the ghost of the Paris Opera House make itself known? Would Raoul be able to convince Christine to go away with him? Phantom of the Opera is a classic romance novel and now it's time to see what exactly the characters would be like in a modern setting, complete with smartphones. 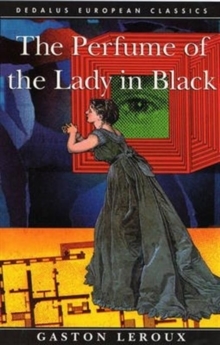 Don't miss this incredible rendition of classic literature! 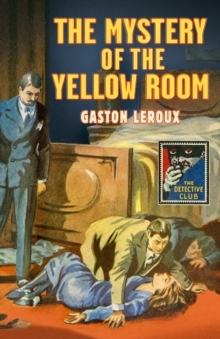 In this LOL retelling of Gaston Leroux's work, you'll get a condensed, modern, interpretation of this famous love story, and it's all told through texts and emojis. 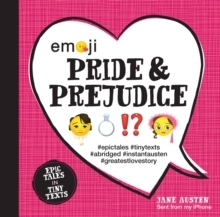 Featuring hundreds of classic and new emojis along with a removable poster (featuring the story in just emojis), this is the perfect gift for any Phantom lover, or over-texter.